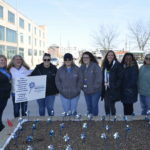 Months ago, a group of homeless service agencies in Indy pulled together to submit a federal grant proposal which would support a coordinated assault on the city’s homeless population. We’re super excited to announce our fine city has been awarded multi-year federal SAMHSA funding to implement iHOST! This is a great opportunity for all of us to get on the same page to better identify and serve people who experience homelessness. There are great people doing great work every day in Indy – now we can start doing great work together and create some synergy. 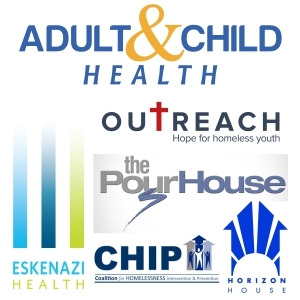 iHOST, an integrated team of key staff, will represent Adult and Child Health, Eskenazi Midtown Mental Health, Outreach Inc, Pour House, and Horizon House. iHOST will build rapport among organizations and individuals experiencing homelessness; stabilize individuals with psychiatric symptoms; address addiction; assess the needs and barriers to treatment, housing and employment in the community; provide services or linkage to address those needs and barriers; help individuals obtain and maintain permanent housing and employment; link individuals to ongoing mental health and/or addiction services; and follow housed clients to ensure needs are addressed and to provide resources for success. For each client, participating service providers, including a case manager and housing staff, will develop an individualized care/intervention plan that utilizes a strengths-based approach. The core of the project and its organization of services, including data collection of evaluation measures, will rely on service providers communicating daily via a shared cloud-based client tracking software system, email, telephone, and/or face-to-face meetings. Led by the Coalition for Homelessness Intervention & Prevention (CHIP), the steering committee will meet quarterly to monitor the goals and objectives of the grant project; increase coordination with other entities engaged in planning the jurisdiction’s response to homelessness; and ensure the provision of direct treatment and recovery support service to the population of focus. The project’s population of focus will be individuals who have: (1) a substance use disorder (SUD), serious mental illness (SMI), serious emotional disturbance (SED), or co-occurring mental and substance use disorders (CODs); and (2) are either: youth under 18 years of age, young adults between 18 and 24 years of age, or the chronically homeless, including those residing in jail or in the process of re-entry.